The NDA government made an interpretation to green regulations in December 2014, which helped particular plants such as that of Vedanta's at Tuticorin to be built without consulting people of the project-affected area. 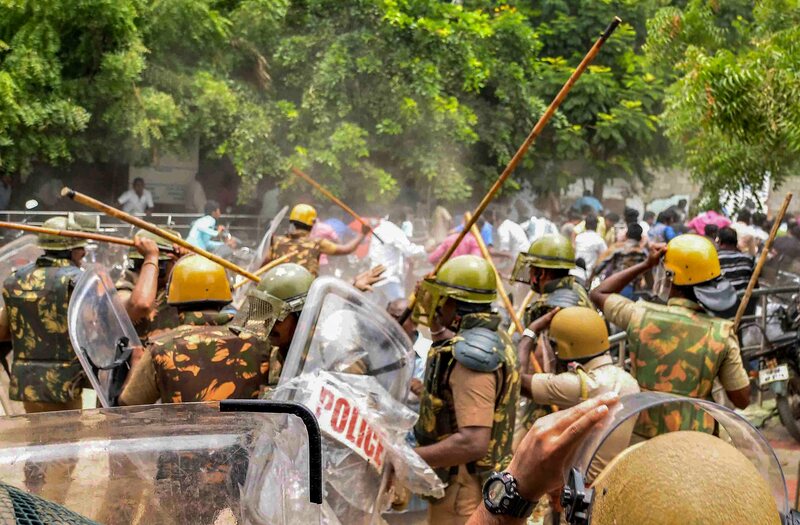 New Delhi: The controversial expansion of Vedanta’s 1,200 tonnes per day copper smelter in Tuticorin, Tamil Nadu has been stayed by the high court on May 23 after at least 11 people protesting against the plant were shot dead by state police. The court has ordered that the company consult people before building the plant – something the company claimed it was legally not required to do. Vedanta claims it had legally got an environmental clearance from the Union government to expand the smelter to double the capacity without consulting people. 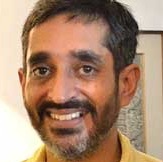 A perusal of the Union environment ministry’s and several court records show the NDA government made an interpretation to green regulations in December 2014, which helped particular plants such as that of Vedanta’s at Tuticorin to be built without consulting people of the project-affected area. This exception in the environmental safety regulations was made on the request of various industries, show court and government documents reviewed by Business Standard. The exception to the rules was carved out through orders of the then environment minister and called a ‘clarification’. This clarification would, in the months ahead, allow Vedanta and several others to start constructing their plants, such as the one in Tuticorin, without public consultations. This interpretation by the NDA government was fortuitous for companies because the environment ministry under the UPA government had insisted in May 2014 that projects such as Vedanta’s in Tuticorin were required by law to first go through public consultations. In 2016, the National Green Tribunal found the December orders of the NDA government, which favoured Vedanta, to be illegal. 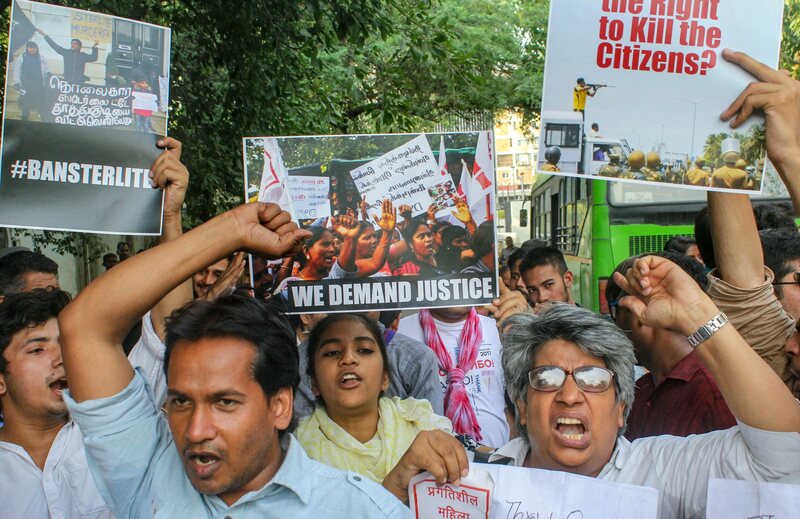 It had to go to the point of threatening bailable orders against the environment ministry officials in the case to divulge information on the matter. Ministry officials said rescinding the government’s December 2014 orders would adversely impact many projects. Eventually, the NGT quashed the December 2014 orders. On the NGT’s instructions, the ministry had to pass fresh orders clearly stating that projects in industrial parks without environmental clearances needed to conduct public hearings. But by then, Vedanta had secured an extension of the green clearance to its expansion project in Tuticorin without the need for a public hearing. It is citing this 2016 ruling of the National Green Tribunal and other facts that came to light during the case, that the high court on Wednesday has ordered Vedanta to stop its expansion plans in track and go back to first consult the people. Almost all large-scale industrial projects require a mandatory environmental clearance from the Union environment ministry. The project developer first prepares a report laying out how the industry would impact the people and environment in the vicinity of the project site. It then presents this report to the public for consultations under the supervision of the state government. Experts of the Union environment ministry study the results of these consultations and the environmental impact assessment to decide if the project should be given a nod or not. People cannot veto the project during consultations, but their concerns have to be addressed by the company and the Union government before the project can take off. The environment clearance regulations, dating back to 2006, make exceptions to the need for public hearing in select cases. If a small industry is set up inside designated industrial park, which itself has an environmental clearance, then the specific industry is allowed to bypass public consultations. During the United Progressive Alliance government’s tenure in May 2014, questions were raised with the government about this exception. What if the industrial park is established so long ago that it came up before the environmental regulations of 2006 were in place and the industrial park itself has no environmental clearance? Would industries in such cases too not need to consult the project-affected people? On May 16, 2014 the environment ministry under the UPA government clarified. It said industries could bypass public consultations only if the industrial parks they were to being built inside had an environmental clearance. If the industrial park had not been assessed for environmental safety and under the 2006 regulations, then the industries coming up inside it would necessarily have to consult the people. The logic proffered was that if the overall industrial complex had been assessed for its impact on people and environment, then the individual units within the complex need not go through the entire elaborate clearance process which includes public consultations. But by May 26, the National Democratic Alliance government with Prime Minister Narendra Modi at helm had been sworn in promising ‘Ease of Business’ as one of its mantra. Documents show it received missives from several industries on the issue. On December 10, 2014, responding to the industries’ plea, the Union environment ministry put out a ‘clarification’ in the form of an office memorandum approved by the then environment minister. The clarification said factories inside the designated industrial zones would not need to consult people even if the zones had never got an environment clearance. In effect, laid down notified regulations under the law were re-interpreted by a mere executive order in the name of providing a ‘clarification’ to the industry. This came as a bonanza for several industries across the country, including Vedanta. Later, the Confederation of Indian Industries highlighted this changed policy as one of the key reforms the NDA government had done for ease of business within a year of coming to power. Vedanta’s original copper smelter was built inside the Tuticorin Industrial Complex of SIPCOT (State Industries Promotion Corporation of Tamilnadu Ltd). The complex came up before the environmental clearance regulations of 2006 were put in place. Vedanta first sought an approval of the Union environment ministry for expanding its copper smelter in 2009. The environment ministry, then under UPA gave a clearance, without requiring public hearings. The clearance was valid for five years. When it lapsed Vedanta went back to the Union ministry in 2013 to get an extension. The environment ministry in May 2014 (still under UPA) ordered that cases like Vedanta’s expansion plans need to consult people. But in December 2014, the NDA government reversed this position and in March 2015 the environment ministry extended Vedanta’s environmental clearance till December 2018. This it did even while the question of the need for public hearing by projects in different kinds of industrial parks was being contested in the courts. This allowed the company to carry out construction. With the construction for expansion onway, news reports say, hundreds of people in Tuticorin began protesting. The protests went on for 100 days. Then on May 25, the administration imposed restrictions under Section 144 in the area. But protesters swelled into thousands, news reports mention, leading to violence and the eventual killing of at least 11 people by the state police. By arrangement with Business Standard.